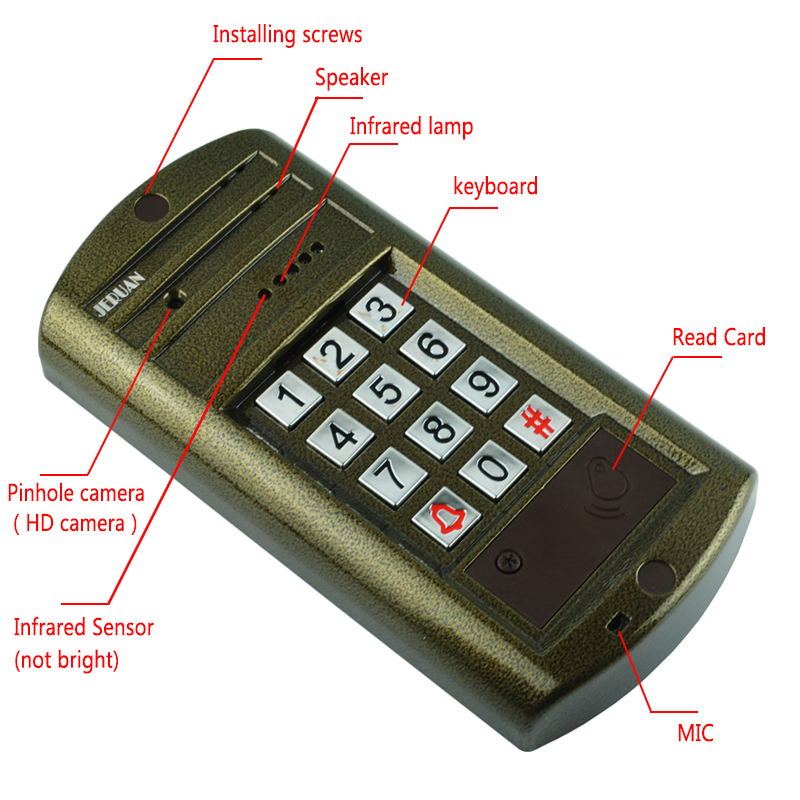 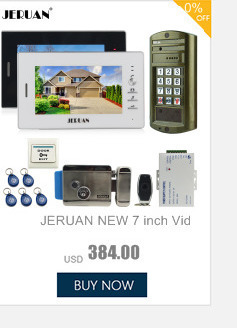 700 TVL HD Mini Camera, VIDEO RECORDING! 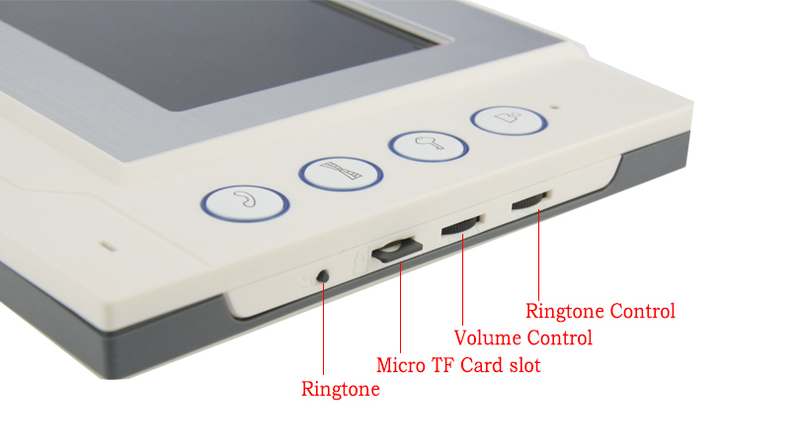 8GB TF CARD GIFT FREE! 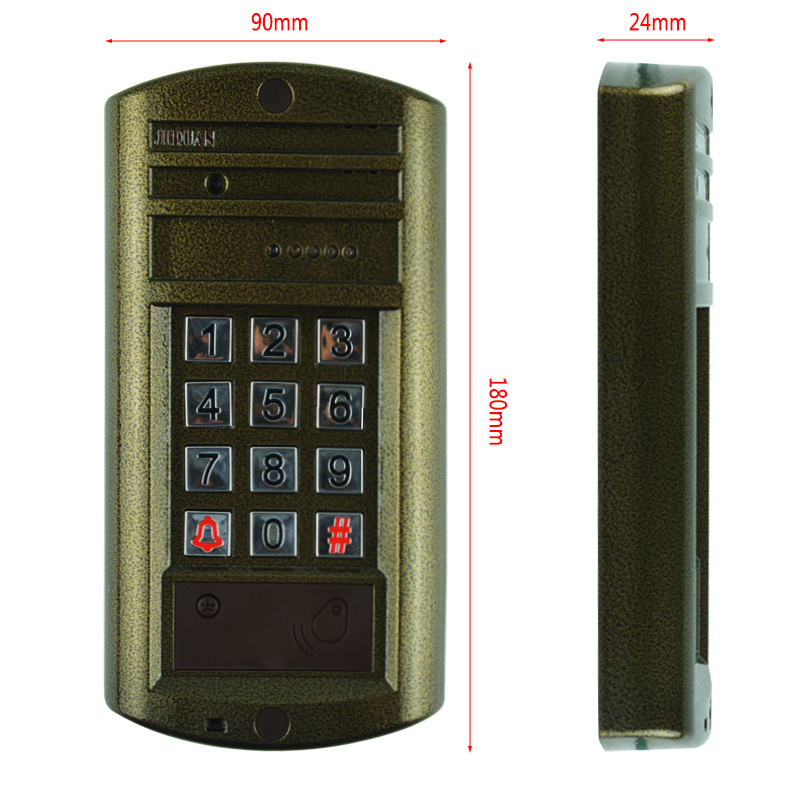 The item you are watching is our new arrival video door phone system with recording function, it will record video automatically when someone press ring the bell. 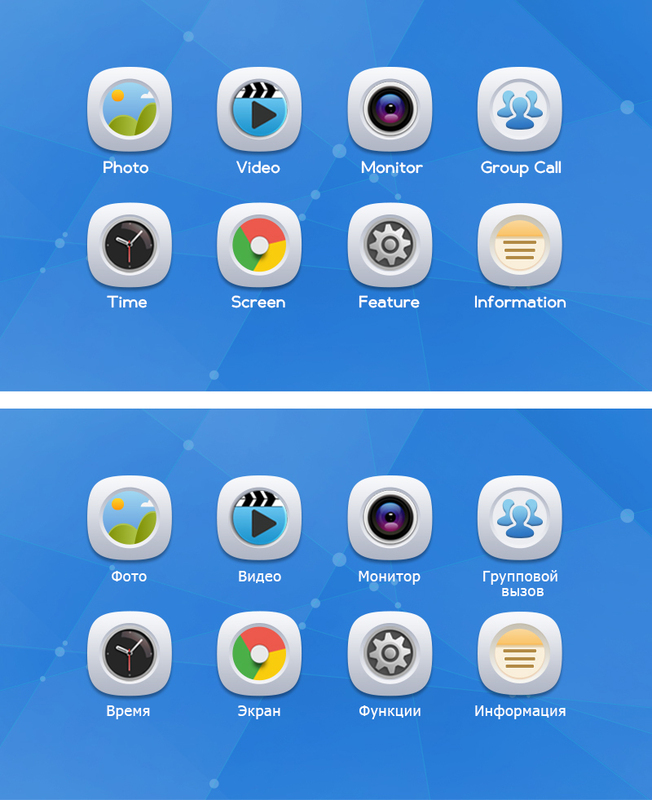 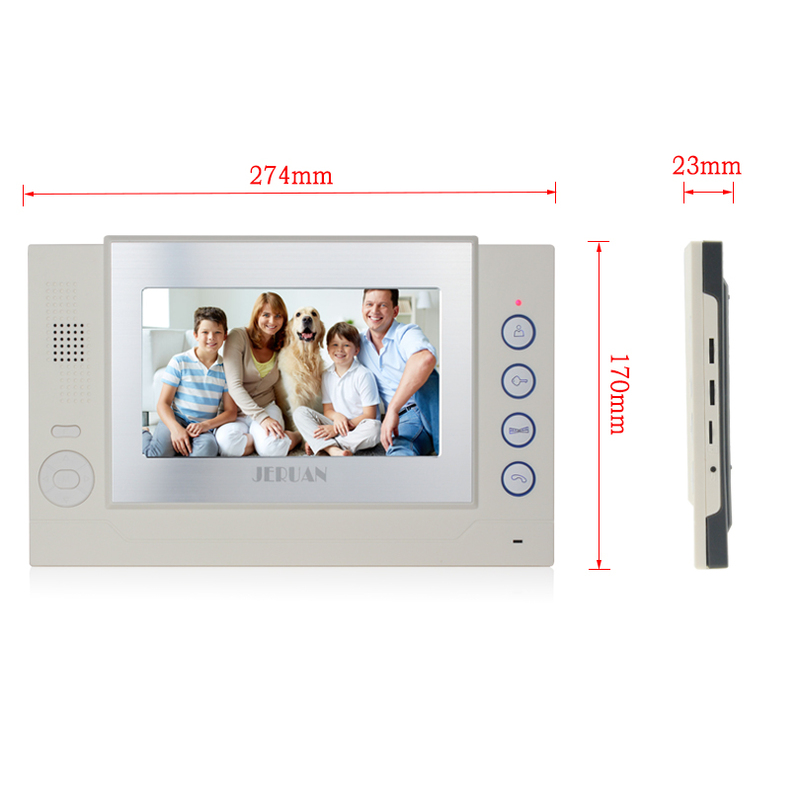 This allows you can see who visited your house when you are not at home or when you missed the call, if the visitors leave a message via the outdoor unit, you can also get more information via the video when you come back. 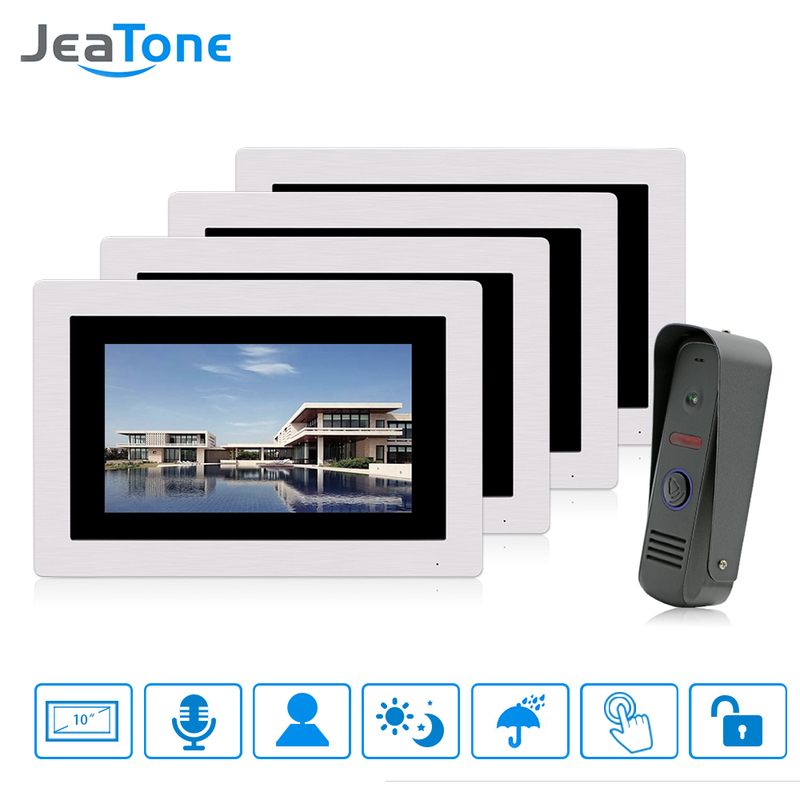 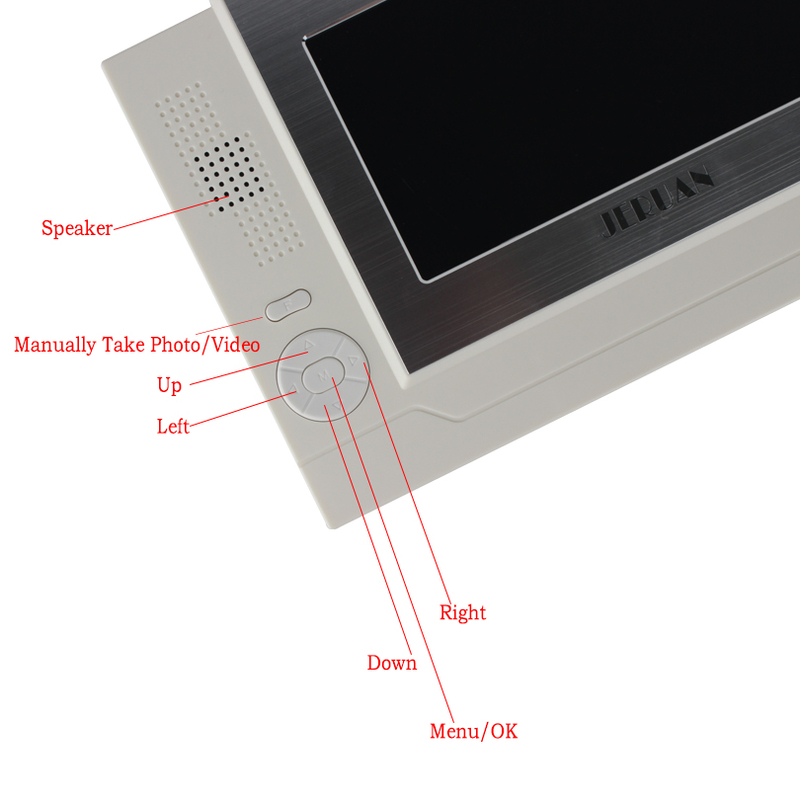 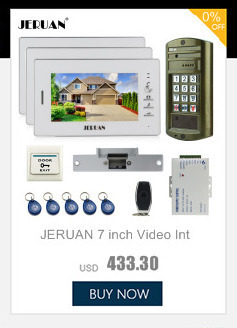 The monitor is equipped with7" high resolution color Touch screen and the camera is 700TVL, which will enable you to see clearly who is at the door. 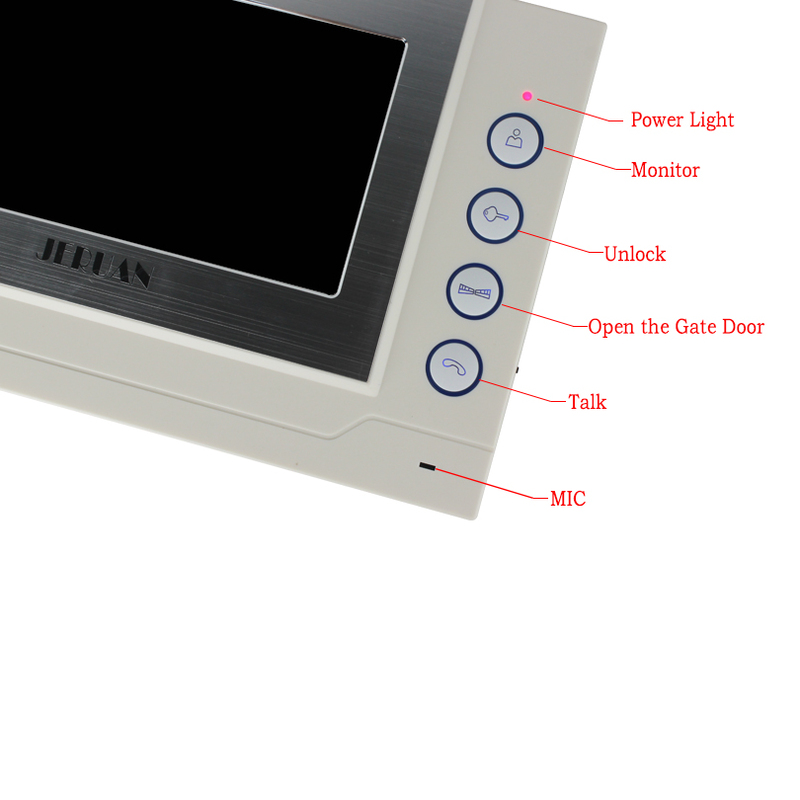 The camera mounted at the outside of the door allows you to talk outside and the people at outside can also talk to you. 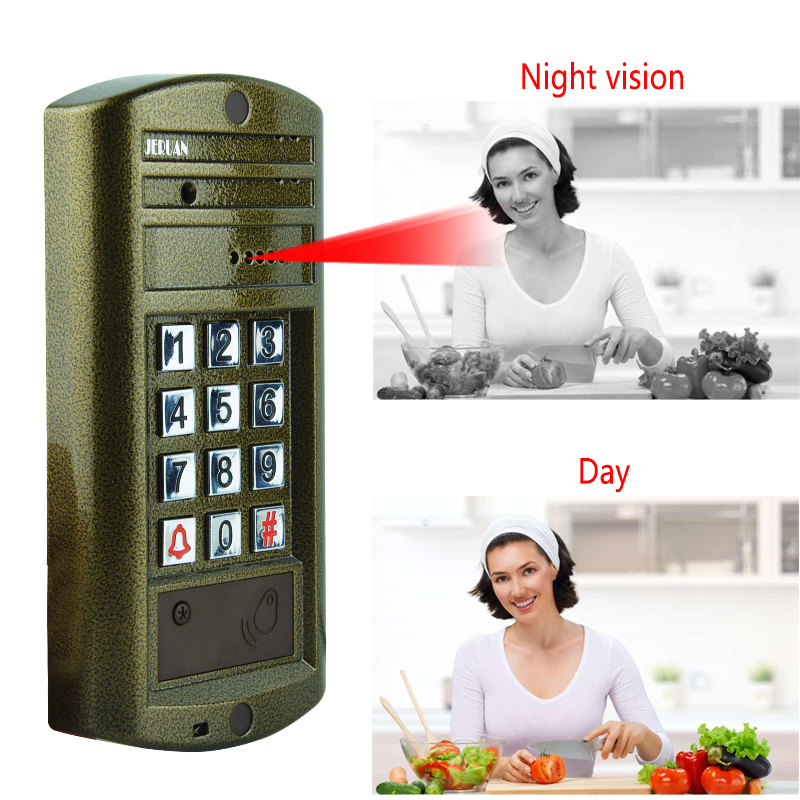 This 2-way communication is an inexpensive and effective way to talk with the stranger at the door without actually opening the door. 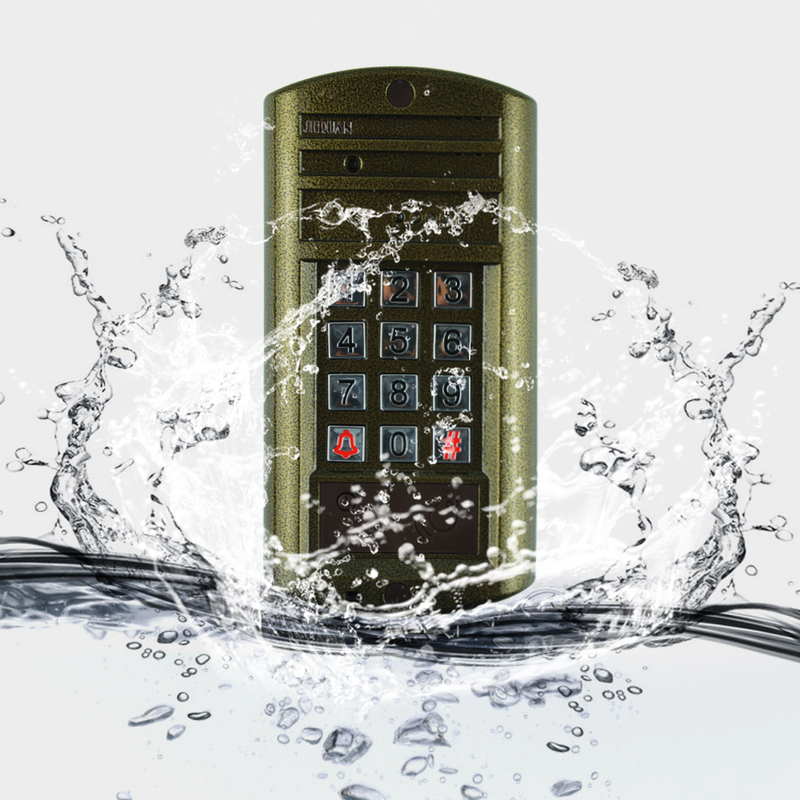 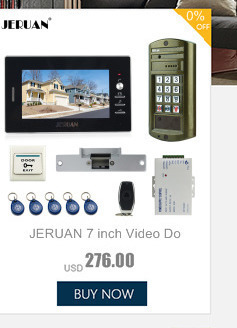 You will experience great benefit from this video door phone system. 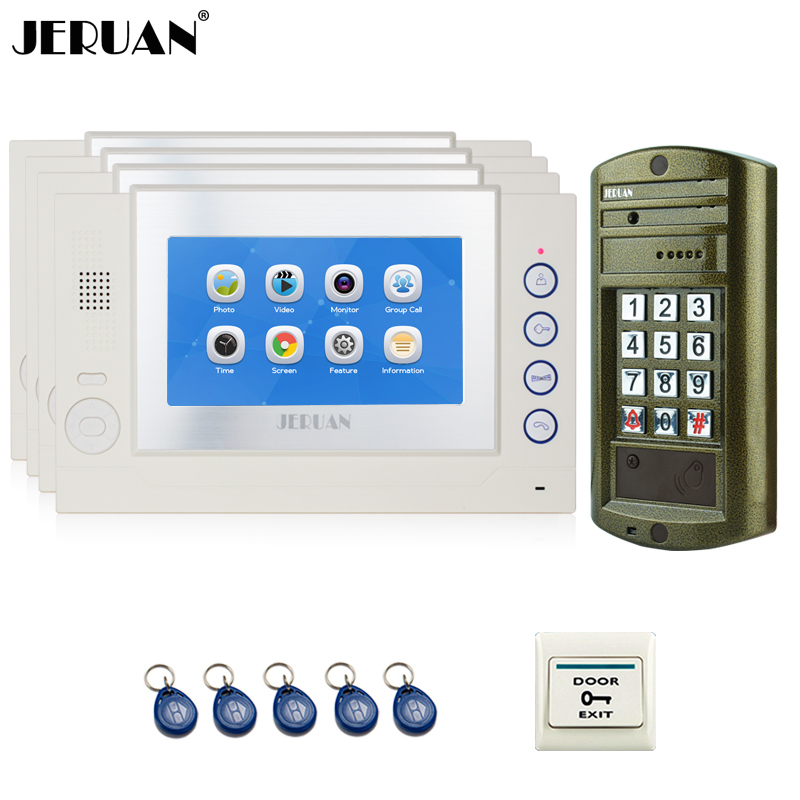 Besides, both of the outdoor unit and indoor unit have good appearance and modern design. 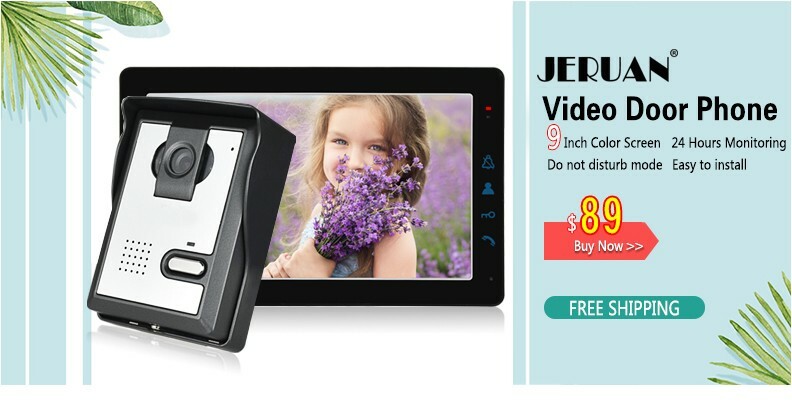 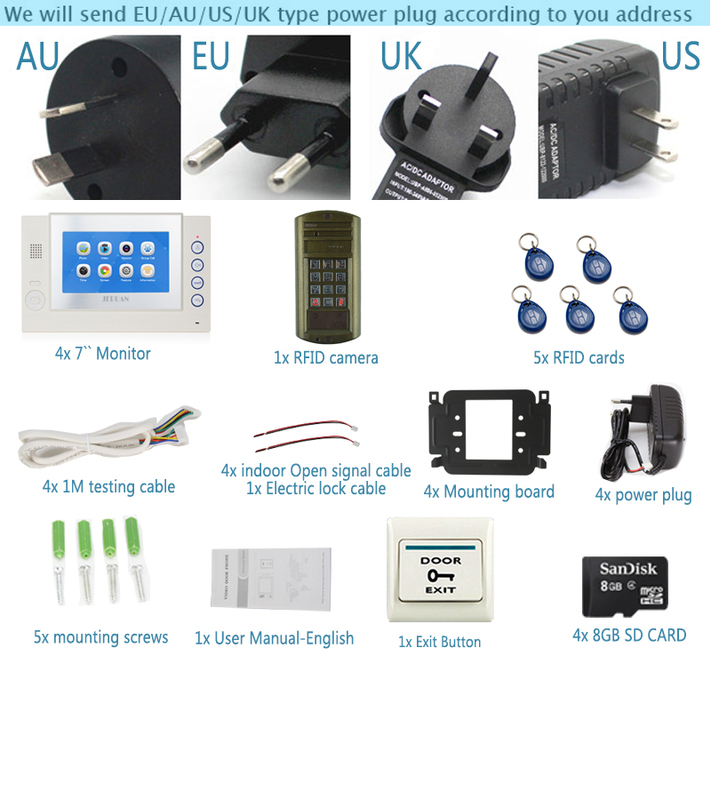 There is an important function compared to old version, this kit supports video recording, it can record a video automatically and it has a micro SD card slot supports Max. 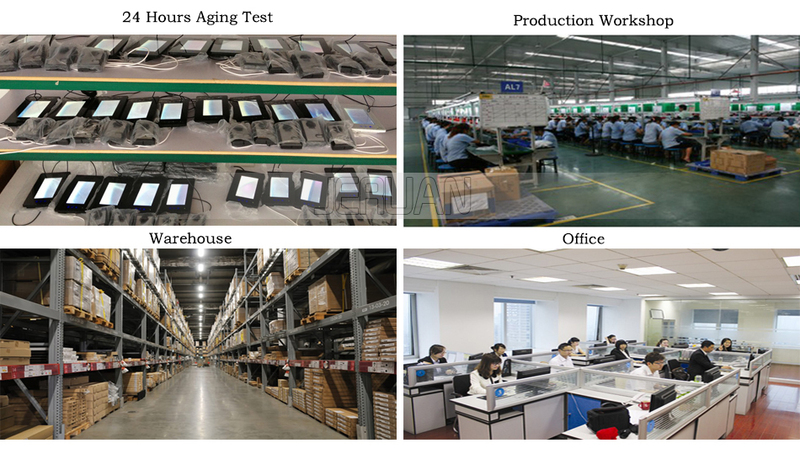 32GB SD card. 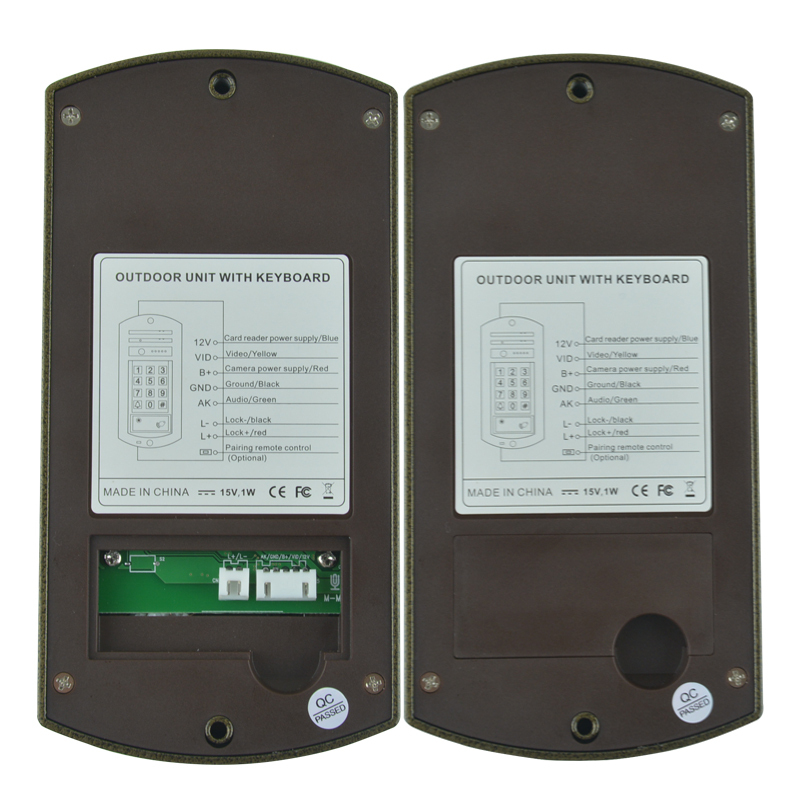 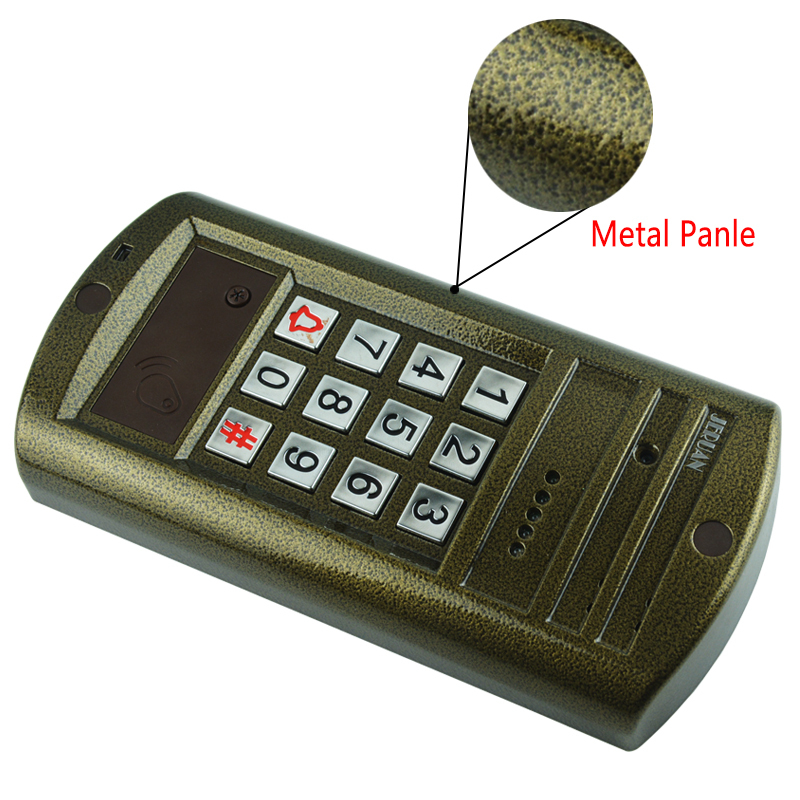 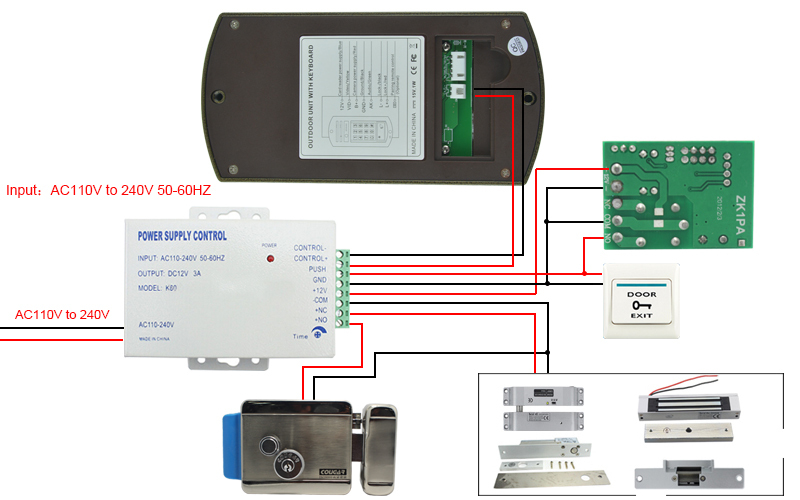 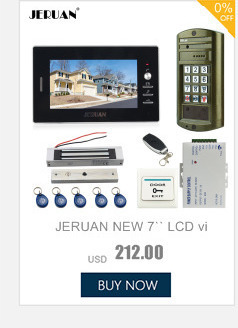 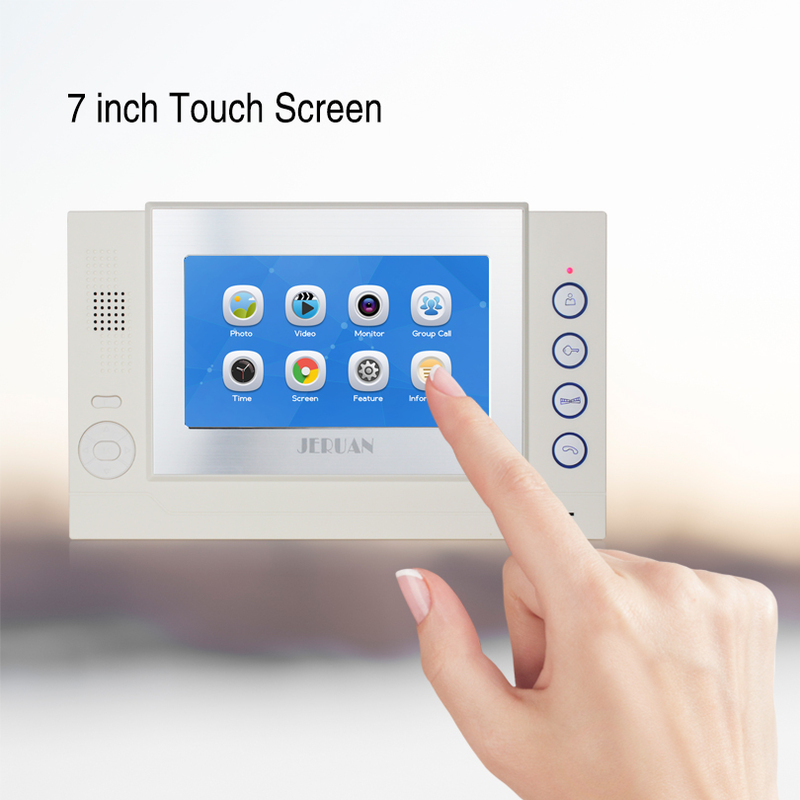 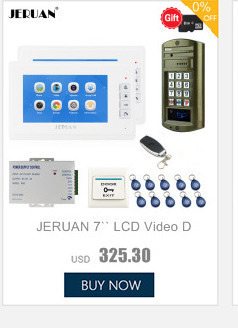 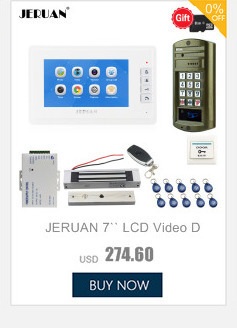 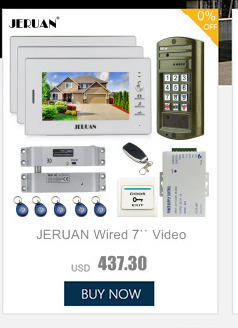 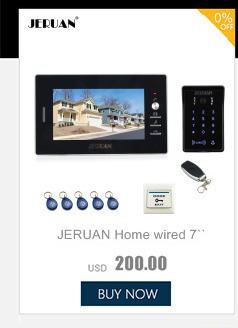 It is a good choice for your home security and intercom. 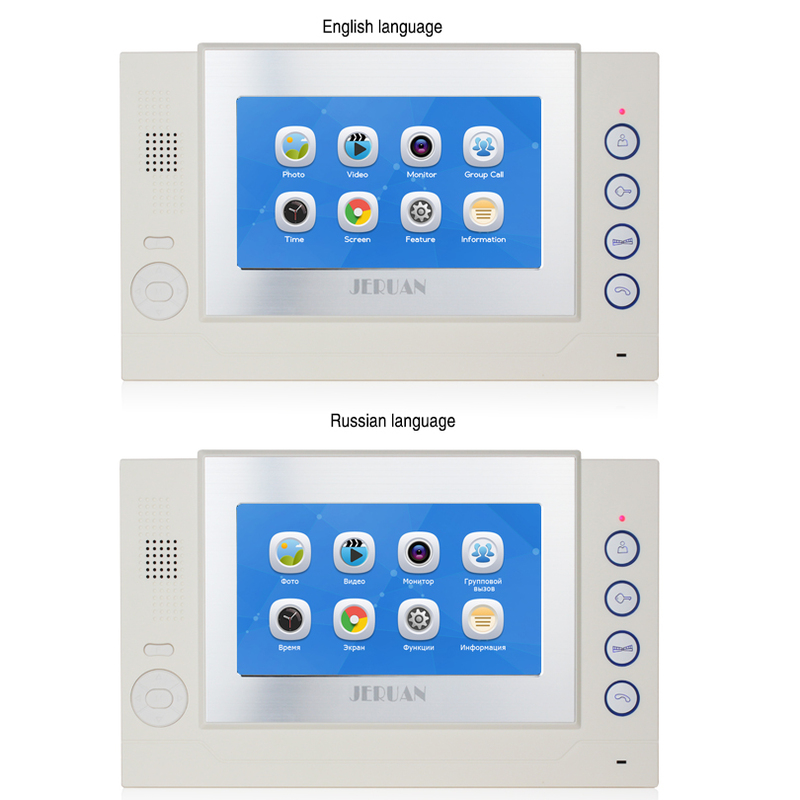 6.Please fill out address in English,and make sure that your address in Aliexpress is matched with your detail shipping address before you pay.Russian buyers,please leave us yourfull namedue to Russia policy,thank you!